Here's what's making up the colour scheme for my latest illustration. Warm oranges and golden yellows, lobster reds and candy pinks - with some teal and mint thrown in for good measure. 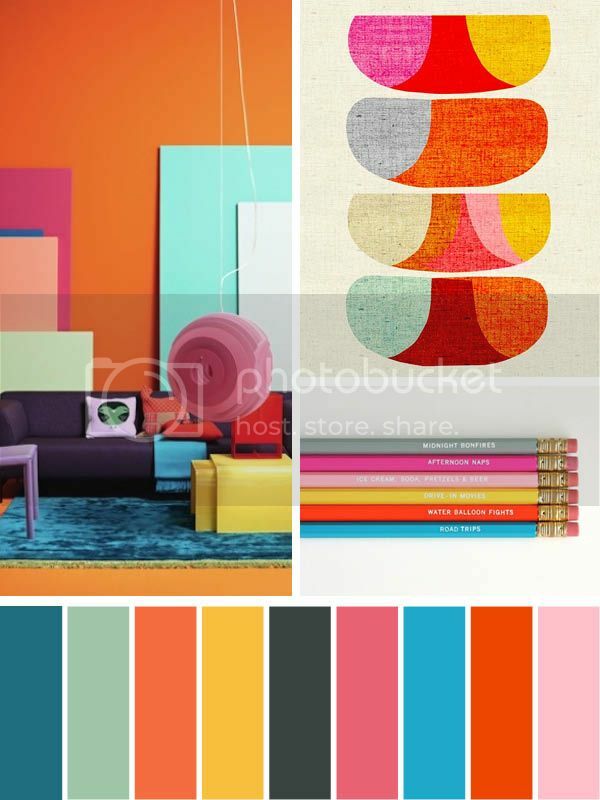 You can see more of my palette inspirations on Pinterest.